MicroRNA refers to a set of small non-coding RNA which plays important roles in regulating specific mRNA targets and suppressing their expression. Previous researches have verified that the deregulations of microRNA are closely associated with human disease. 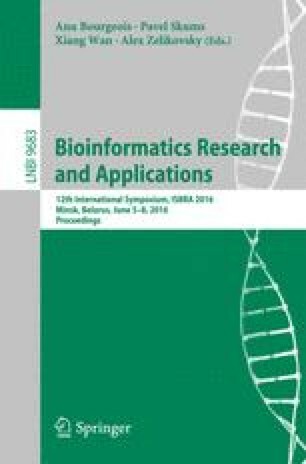 However it is still a big challenge to design an effective computational method which can integrate multiple biological information to predict microRNA-disease associations. Based on the observation that microRNAs with similar functions tend to associate with common diseases, the diseases sharing similar phenotypes are likely caused by common microRNAs and similar environment factors also affect microRNAs with similar functions and diseases with similar phenotypes. In this work, we design a computational method which can combine microRNA, disease and environmental factors to predict microRNA-disease associations. The method namely ThrRWMDE, takes several steps of random walking on three different biological networks, microRNA-microRNA functional similarity network(MFN), disease-disease similarity network(DSN) and environmental factor similarity network(ESN) respectively so as to get microRNA-disease association information from the neighbors in corresponding networks. In the course of walking, the microRNA-disease association information will also be transferred from one network to another according to the interactions between the nodes in different networks. Our method is not only a framework which can effectively integrate different types of biological methods but also can easily treat these information differently with respect to the topological and structural difference of the three networks. The results of experiment show that our method achieves better prediction performance than other state-of-the-art methods. This work is supported in part by the National Natural Science Foundation of China under grant no. 61502214, 31560317, 61472133, 61502166, 81460007 and 81560221.